Standing with Democracy? What Will Be President Obama’s Message? Cambodia opposition is united and stands firmly with the people to give human rights and democracy a chance. We have seen strong reaction from the EU Parliament and the Australian Senate calling for free and fair elections and the end of economic land concessions that violate human rights. Cambodia civil society wants all candidates for the 2013 to be present inside Cambodia and for the election to be conducted in clean and fair manner. How will President Obama’s visit help democracy and human rights without any clear assurances from the government that these issues are clearly addressed? We ask that President Obama stands with democracy. We ask that his visit be a visit for democracy or cancel it. The Obama petition has received over 1,000 signatures ONLINE and many more signed the printed version. 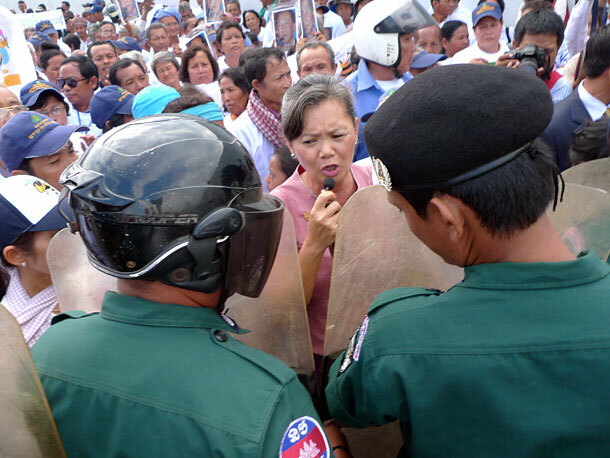 Riot police blocked the street outside Phnom Penh Municipal Court on Oct. 1, as protesters called for the release of jailed land-rights activist Mam Sonando. Published: October 30, 2012As the U.S. presidential election approaches, Barack Obama is in danger of allowing his good offices to be used as part of an attempt to deny Cambodians the opportunity for self-determination that Americans take for granted. President Obama is due to visit Cambodia next month as the country holds the presidency of the Association of Southeast Asian Nations in 2012. 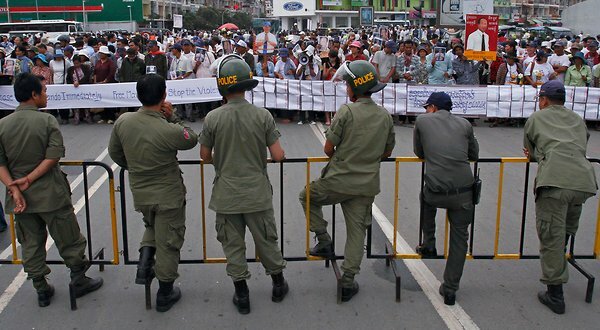 Ahead of Cambodian elections in July 2013, Prime Minister Hun Sen, who has been in power since 1985, has been engaging in a familiar pattern of cracking down on the voices of opposition. He knows that it’s an easier and safer way to win elections than allowing democratic debate. The summit meeting of the Association of Southeast Asian Nations that Mr. Obama plans to attend should be moved to another country in order to deny Hun Sen the legitimacy he is seeking to garner from the event. Those with a record of opposition to Hun Sen are in dread of the period right after Mr. Obama’s scheduled visit. The owner of the Cambodia’s Beehive radio station, Mam Sonando, was sentenced to 20 years in prison on Oct. 1 on politically motivated charges that he had been part of a secessionist movement. The radio station had allowed airtime for such inconvenient issues as maternal mortality, human trafficking, labor rights, environmental protection and the need for an independent judiciary. Hun Sen had publicly called for Mam Sonando’s arrest on June 26. He was held on July 15, two days after Secretary of State Hillary Rodham Clinton left the country after attending an Asean regional forum. The United Nations Special Rapporteur on Human Rights in Cambodia, Surya P. Subedi, in July recommended reform [pdf] of the country’s electoral system. Among his 18 recommendations was the key demand for the reform of the National Election Committee to make it a neutral body. This has been rejected by the Cambodian government. Hun Sen is counting on donors continuing to turn a blind eye to the fact that the election committee is dominated by members of the ruling Cambodian People’s Party, and is even situated inside the Interior Ministry. The minimum requirement for proper elections next year is that the National Election Committee be reformed. 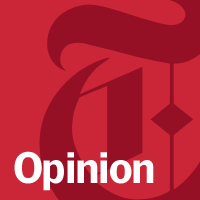 Letting it operate in its current form would allow voter-registration fraud on a massive scale. This means that election results are a foregone conclusion. Meanwhile, as leader of the opposition, I remain abroad in forced exile to avoid a 12-year jail sentence on politically motivated charges. The Cambodian National Rescue Party — the united democratic opposition that I lead — won’t validate such a bogus exercise next year by taking part. There must be meaningful reform in advance or Cambodia will go the way of Belarus, reduced to international isolation after an opposition boycott led to a one-horse race in which the dictator Alexander Lukashenko was the only candidate. This year, the Cambodian political landscape saw what could prove to be its biggest change since the extinction of the Khmer Rouge in 1998. The Human Rights Party, led by Kem Sokha, agreed to merge with the Sam Rainsy Party to create a united democratic opposition. We believe that together we have enough support to win a free and fair election. We aim to carry out a New Deal for Cambodia. Prohibition of land theft will be at the core of our program. Our government will cancel all land, forest and mining concessions granted by Hun Sen that were associated with the eviction of legitimate landowners. Local communities will be given rights to decide how land, forest and fishing zones are managed. We will seek to rid the civil service of the corruption that cripples it and turn it into a meritocracy associated with a sense of public service. We will introduce a health service that gives Cambodians access to basic care. Our government will make it illegal for any organization, including political parties, to get new members through coercion. We will reform the National Election Committee to make it independent and introduce an age limit for prime ministers to avert the specter of Hun Sen, or anyone else, ruling the country for life. Hun Sen has been power for even longer than Mr. Lukashenko. He is the only Cold War communist leader to survive in power today. During the Cold War, states in Eastern Europe and Asia fell to communism like dominoes. But a domino can fall in either direction. The free world must seize the opportunity presented by Cambodia’s elections. Forcing Hun Sen to play by democratic rules would not only empower the Cambodian people to determine their own future, it would also give an impetus to democracy and human rights in countries such as Vietnam, Laos, Myanmar and North Korea. Hun Sen responded to the recommendations from Mr. Subedi, a Nepalese professor of law, by telling him to go away and worry about his own country. He used similar language in 2006 and 2007 in response to criticism from the previous U.N. envoy to Cambodia, the Kenyan constitutional lawyer Yash Ghai. If everyone did that then the United Nations wouldn’t exist and neither would international law. If Hun Sen won’t engage with the international community and the Asean summit isn’t moved, President Obama, the leader of the world’s standard-bearer of democracy, should take Hun Sen at his word and stay away. Sam Rainsy is an exiled member of the Cambodian Parliament. The Australian Senate resolution that follows the EU Parliament resolution to support the U.N. 17-point recommendations for free and fair election coincide with the national appeal for reconciliation. It is important to note that civil society in Cambodia will also issue their own resolution for national reconciliation to begin with the return of the leader of the main opposition to freely and fairly participate in the 2013 election. It is the interest of Cambodia and the Cambodian people that must be protected.Cambodia will only go forward if and when the next government is legitimate and born from the will of the people. The Australian Senate yesterday urged the Cambodian government to run free and fair national elections next year without the “harassment or intimidation” of opposition leader Sam Rainsy, who remains in self-imposed exile avoiding an 11-year jail sentence. The appeal comes only days after the European Parliament passed its own resolution condemning what it called Mr. Rainsy’s “politically motivated” sentence and urging the government to fix “major flaws” in how it runs the country’s elections. Both Australia and the European Union (E.U.) are major aid donors to Cambodia. Surya Subedi, the U.N.’s special rapporteur on human rights to Cambodia, in his latest report called for a political solution that would allow Mr. Rainsy to “play a full role in Cambodian politics” and recommended several other reforms to the election process. Government officials have been taking an increasingly harsh view of Mr. Subedi’s reports, however, and have repeatedly rejected calls to let Mr. Rainsy return to Cambodia without arrest. Mr. Rainsy, president of the eponymously named Sam Rainsy Party (SRP), was first convicted in 2010 of destroying public property for uprooting temporary border posts along Cambodia’s frontier with Vietnam and later of disinformation for posting maps of the area online. The SRP, the country’s largest opposition party, is threatening a possible boycott of July’s national elections unless Mr. Rainsy is allowed back to contest the poll and unless the government concedes to reforms of an electoral process it accuses of favoring the ruling CPP. On Friday, the European Parliament in Brussels passed a resolution of its own noting that E.U. 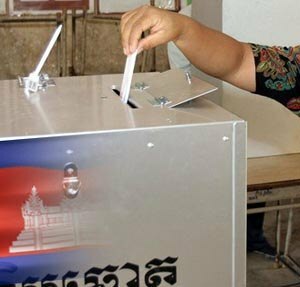 observers found Cambodia’s last national elections in 2008 to have fallen short of international standards. Drawing from a long list of human rights abuses, the European Parliament has urged the Cambodian government to stop forced evictions, called on the European Commission (E.C.) to investigate the country’s controversial land concessions policy, and raised the prospect of sanctions. In a resolution passed Friday in Brussels, the Parliament also condemned two recent high-profile murders and court cases and urged the government to fix “major flaws” in its election process. The resolution is the strongest and highest level rebuke of Cambodia’s human rights record in recent years from the European Union (E.U. ), Cambodia’s largest aid donor. National and international human rights groups have singled out such concessions to large, well-connected agri-business firms as the leading rights issue now facing Cambodia, and blamed the policy for displacing hundreds of thousands of people across the country, often without due process and usually driving families further into poverty. After a record year of government-issued licensing in 2011, land concessions now cover 2 million hectares, about 10 percent of the country’s entire land mass. Through loopholes and a loose application of the rules, the government has granted many of those concessions in pristine, protected forests and well above the maximum legal size limits of 10,000 hectares. In his latest report, the U.N.’s human rights envoy to Cambodia, Surya Subedi, also singled out the concessions for criticism and noted no discernable benefits for the average Cambodian. Prime Minister Hun Sen in May ordered an immediate freeze on all new economic land concessions and a legal review of the ones that exist. But at least a dozen new concessions have come to light since the moratorium, which government officials claim were in the works before the announcement. Beyond land concessions, Friday’s resolution accuses Cambodia’s security forces of using “excessive force” against protesters and “deplores” the murders of environment activist Chut Wutty in April and of 14-year-old Heng Chantha in May during a forced eviction, both by security forces. The Parliament also called for the immediate release of Beehive Radio station owner Mam Sonando and “condemned” what it called the politically motivated conviction of opposition leader Sam Rainsy. Mr. Sonando was handed a 20-year prison sentence on October 1 on charges of fomenting an insurrection in rural Kratie province. Rights groups called the charges “trumped up” to silence one of the country’s few independent voices on the radio. Some of the country’s foreign donors joined them in condemning the verdict. Mr. Rainsy is in self-imposed exile avoiding a 11-year sentence for uprooting temporary border posts along Cambodian’s frontier with Vietnam and for posting maps of the disputed border area online. With national elections due in July, the resolution also said there are “major flaws” in the election process, noted the E.U.’s conclusion that the last national elections in 2008 failed to meet international standards, and urged the government to adopt the electoral reforms proposed by Mr. Subedi, the U.N.’s human rights envoy. Phay Siphan, spokesman for the Council of Ministers, called the resolution’s claims unfair and said that any human rights abuses tied to land concessions were an “irregularity,” not the norm. “If there is one bad tree, does it mean the forest in bad? I don’t think so,” Mr. Siphan said, downplaying the prospect of losing free trade access to Europe. As for the murders and court cases against activists, Mr. Siphan said the local courts were well equipped to do their job. “We have a rule of law and a court to take care of that issue. Making noise does not help,” he said. Mr. Siphan also asked the E.U. to stop criticizing Cambodia and step up aid assistance. Opposition lawmaker Mu Sochua welcomed Friday’s resolution in Europe. “The E.U. Parliament has taken a step forward to render justice to the victims of the Cambodian government’s economic land concession policy,” Ms. Sochua said in post to her personal blog Saturday. Land concessions that produce and export sugar to Europe, duty free, under the E.U.’s Everything But Arms (EBA) trade scheme has come in for particular rebuke by human rights and other groups. According to E.U. trade records, Cambodian sugar plantations—which are accused of violently driving hundreds of families off their land—exported $14.6 million worth of sugar to the U.K. with the help of EBA last year, more than double the value exported the year before. 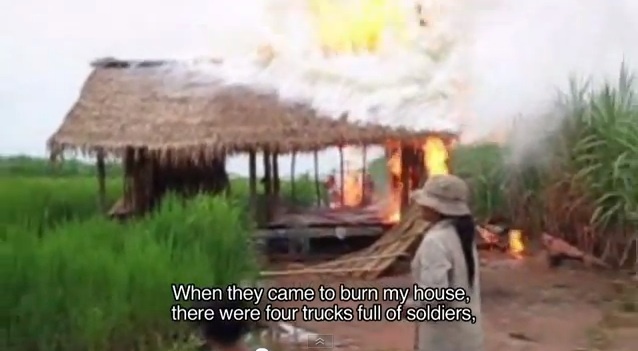 The evicted families have accused security forces of burning their homes and beating them during the eviction. At least two say they were shot. The European Parliament resolution does not force the E.C. to investigate the concessions. But it should help remind the E.U. of its legal obligations to not contribute to human rights abuses, said Shiwei Ye, Southeast Asia representative for the Paris-based International Federation for Human Rights. “Foot dragging and half-cooked excuses for inaction will only further contribute to the perception that the E.U. only respects human rights when it is politically expedient,” he said. Coming from elected parliamentarians, the resolution also carries with it the will of the European people, said David Pred of Inclusive Development International, one of the NGOs behind the sugar boycott campaign. “If the commission doesn’t launch an investigation now, it will send the message that companies that grab poor people’s land, burn their homes and shoot those who protest are not only welcome to export their goods to Europe, but they’ll receive special trade privileges when they do,” he said. The EU Parliament has taken a step forward to render justice to the victims of the Cambodian government economic land concession policy. This is the first time that we can see a sign of hope. With mounting pressure from all fronts including taking these companies to court, there is hope that the global Blood Sugar campaign is showing success. The next step is the actual suspension of the Everything But Arms scheme. Yes, we want development. But we do not need development with disastrous consequences on natural resources and a development that is of trickle down effect and that rips our families apart. TThe EU Parliament call for free and fair elections is very legitimate and timely. Let there be free and fair election and let the people make their choice for a government that is legitimate and that can put Cambodia on the right track for democracy. H&M, like other big brand claims that it is doing all it can to find solution to living wage. How hard do these brands try when workers in Cambodia get US$61/month. With all the bonuses and allowances and years of fighting for increased wage, a worker gets US$85/mo. However, these bonuses are cut when workers even miss 15 minutes of work. The extra US$7 for transport is not enough as the price of gasoline is going up and the US$10 for housing is still not enough when rent is also going up. To deprive workers from getting these bonuses, some factories hire workers on short term contract. Daily strikes have lead to workers and union leaders facing summonses from the court. The opposition parties in Cambodia that have merged into the Cambodia National Rescue Party have long been on the side of workers. The new party offers US$150 as minimum wage when the party is in power. Solution comes when we all stand with workers and when workers are allowed to come to the negotiation table. Until there is global action and movement, these brands will continue to hide behind their heavy PR campaigns. It is a high price for Cambodia to pay. The message to the government is clear: respect human rights.